For a long time I have wanted to practice with another midwife. The demands of a midwifery practice and having a young family are intense and having another set of responsible shoulders to share the load has been appealing. Rebecca and I have known each other for a long time. I was the second midwife at her first birth and we are part of the same parenting community. 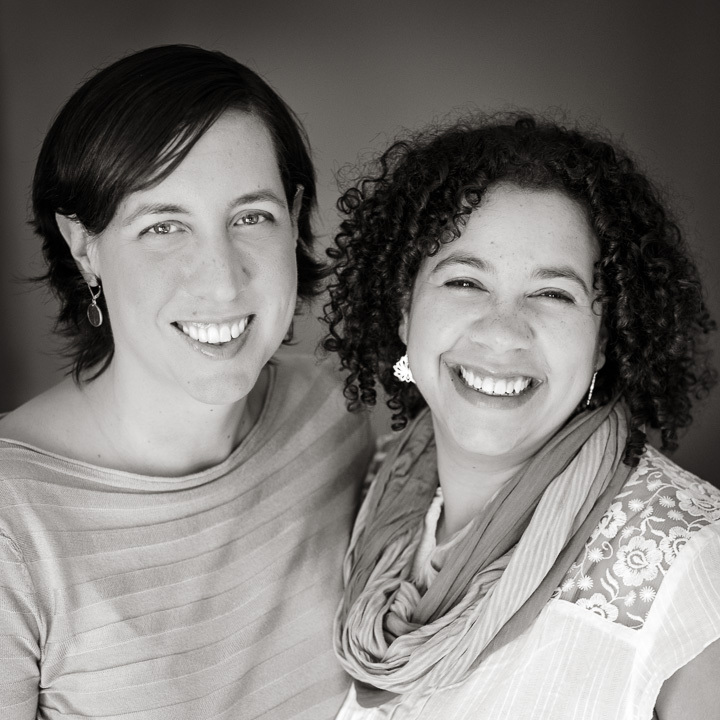 We have also been in the birth community together since 2007. Last fall Rebecca came to me as she was completing her credentialing process. My senior student was going to be out of the country and the timing was perfect. Rebecca and I clicked immediately and I knew she was the one for North Star Midwifery. So far we have been having a blast learning from each other and helping families. Continuity of care: if there are two moms in labor at once (a rare event), the families each get a midwife who they know well to help them and then each of us would call another midwife to come and help us. Multiple perspectives: at each encounter with a family there are always 2 perspectives. This serves to help families feel more supported and helps the midwives to evaluate each issue from different viewpoints to improve safety and to increase the variety of options a family has. Well rested midwives: Having two skilled midwives allows us to spell each other and ensures that there is at least one fresh midwife available most of the time. More love: with twice as many midwives each family can get twice as much love. Love is the heart of midwifery care, you know! Happy, balanced midwives: Rebecca and I have made a commitment to self-care and work/life balance. We will strive to take days off call and vacations a couple times a year or when we need them so that we are nourished and fresh for when your family needs us most. Rebecca attended the National Midwifery Institute and worked with several local midwives to get her clinical experience. She also apprenticed in a high volume birth center in Utah. Before and during her training she worked as a Doula at HCMC for several years and worked as a breastfeeding Peer Counselor for WIC. As a student midwife she began her training in 2007. Rebecca’s training was steeped in the values of traditional midwifery and on a cellular level she believes in birth and women’s ability to bring their babies into the world. 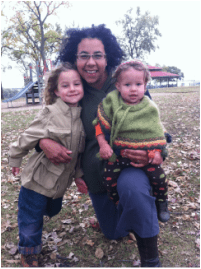 In February, Rebecca took and passed the NARM exam to become the first African American CPM in the state of MN. Rebecca and her two HBAC babies. Rebecca is the mother to 3 children. Her first was a planned homebirth that ended in a transport and a c-section. She then went on to have her next two VBACs at home. She is passionate about supporting women who have had a prior c-section and helping them understand all their options. Rebecca and I share a passion for social justice in birth and in decreasing racial disparities in infant mortality and maternal outcomes. We have several projects up our sleeves that we hope to be able to share with you soon! If you have any questions about Rebecca or how our practice works with two midwives, please feel free to get in touch. We are thrilled to have her and we know you will be too. Awesome! Nice to meet you, Rebecca!